There’s a better way. It’s likely you already use social networks to disseminate job listings, which means you recognize their nascent value as a promotional tool. It’s now possible to truly exploit your social networks as a primary means of finding qualified candidates and unlock all of the promotional potential which has, prior to now remained untapped. The solution is Preferhired, a new referral recruitment platform that leverages the wide reach of social networks and the power of the new gig economy to reach large numbers of pre-qualified candidates quickly and easily. In order to explain how our process can save you time and money we first need to touch on the gig economy. In stark contrast to the standard 40 hour work week or part-time, company-employed, hourly workers, people participating in the gig economy have flexible schedules and generally work when they want to. Gig work is task-based work. Instead of working for an employer on an hourly or salary basis, gig workers are self-employed and do “drop-in” work, often for many different companies and individuals. They get a task, they complete it, and they’re paid. Then they move on to the next gig. The gig economy as we know it today got its start in 2008-2009, when the financial crisis wiped out jobs, forcing people to get creative. Prior to this, the gig space was mostly occupied by freelancers and consultants. But with the precipitous drop in standard employment options and the simultaneous rise of technologies that democratized task-based work, like Uber, Fiverr and TaskRabbit, large numbers of people began using gig work as their main means of support. In general gig workers express a high degree of job satisfaction. They enjoy the freedom that task work allows. They can work as little or as much as they want, which puts them in control of their schedules and their earning potential. The gig economy isn’t just good for workers. 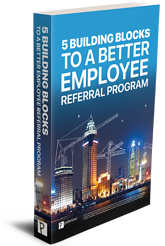 It’s great for companies looking for a diffuse, self-motivated, affordable workforce. This is particularly true for companies that need large volumes of workers but can’t afford all of the overhead that comes with that. Because gig workers are paid on a task basis, businesses don’t suffer the inefficiencies of employees that get paid whether they’re working or not. The gig economy allows an extremely cost-effective way of building large, diverse worker networks that are paid for performance. It’s this feature of the gig economy that we exploit at PreferHired to create a broad network of recruitment referrers, that only get paid when they make a successful connection. Our recruitment referrers get paid when they help find you the perfect candidate. This means you only pay when you find your perfect candidate. How does this work? You create an account and post your job, its requirements, and the qualifications you’re looking for in an employee. You then promote it to your social networks and our network of social recruitment referrers. Then your network and ours refer your job to people in their networks. Soon you have a vast web of people seeing and actively sharing your listing. When a recruitment referrer finds a possible candidate they process the applicant, make sure his or her qualifications match, and, if the fit seems good, refer the prospect on to you. We give you the tools you need to sort your candidates and select for the qualifications most important to you. Remember, you don’t pay until you find your candidate, so you risk nothing. 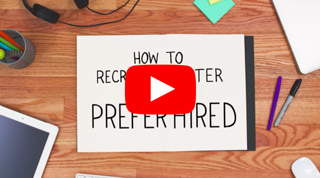 You can think of Preferhired as a massive web of candidates and referrers, all either looking for a job or looking to find those people jobs. It’s a numbers game. When your listing goes out to that many people, actively looking to work or looking to place workers, your ability to find a qualified candidate scales exponentially compared to the old ways of finding candidates. The next time you’re looking to fill a position, give Preferhired a try. You have nothing to lose and everything to gain. Your perfect employee could be just a few social connections away. Let us bridge the gap. Go to https://www.preferhired.com/demo to learn more!